Losing a loved one is hard enough. But when that loss is a slow, distressing erosion of memory, interests, ability and eventually their recognition of you, the pain and loneliness can be overwhelming. This is the situation faced by many of those dealing with dementia. “There is ongoing grief as each progression occurs but you deal with it, make an adjustment, and move on,” says Anne Tudor, 66, the primary carer for her partner, Edie Mayer. 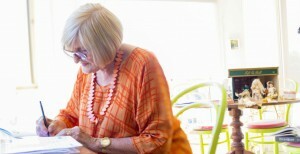 Edie was diagnosed with younger-onset Alzheimer’s six years ago, aged 59. It was Alzheimer’s that brought the couple to Ballarat in Victoria; Anne’s mother had it, so she and Edie moved there from Melbourne, where they had met 32 years ago, to support her mother. They stayed in Ballarat and two decades later, despite their own battles, they are the directors of a project aimed at driving greater awareness of dementia in the community. 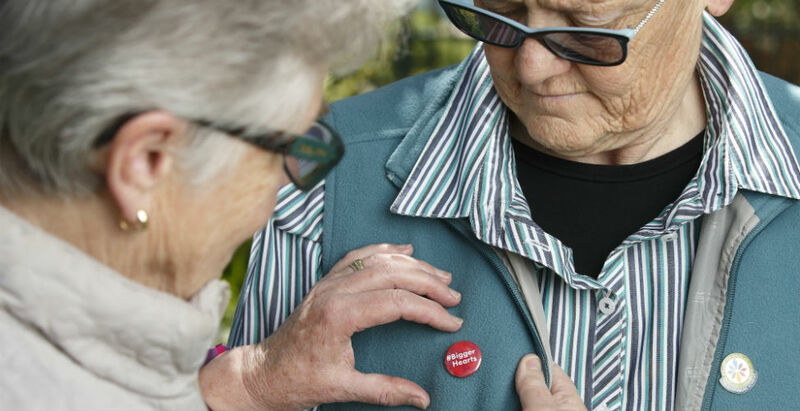 In September last year, the pair launched #BiggerHearts, a campaign to encourage the people of Ballarat to create a dementia-friendly community. The project has attracted wide support. Australian Unity is a major sponsor alongside Alzheimer’s Australia. Through informal meetings at a local café, the group invited people living with dementia to get out and meet others, but also asked the public for ideas and feedback. “There’s a lot of stigma around dementia, so there are a lot of people with dementia who don’t access services or admit it,” the project’s coordinator, Dr Catherine Barrett, says. An Alzheimer’s Australia report, released in September last year, found people with dementia and their carers were twice as likely as the general public to experience loneliness and three times more likely to not have a friend to confide in or to call on for help. Central to the #BiggerHearts campaign is a film that aims to encourage social connections. “Australian Unity funded us to produce a film to bring in community members and have conversations with people with dementia,” Catherine says. “The message is, it’s not only possible and important, it’s actually lovely to converse with someone with dementia. Richard Prideaux, Australian Unity’s General Manager for Home & Disability Services in Victoria and South Australia, says sitting down with clients and working out what their specific needs and goals are is critical. “Australian Unity’s Better Together service promise means we go out of our way to make what our clients want possible. We start by developing goals that are meaningful and important to the client and their family or carer. “We then work together with each client to establish services, referrals or connections required to meet their goals and set a timeline with a start and end point, including regular reviews along the way. “The relationship built between the client and the staff involved in supporting them to reach their goals is very important and has a positive impact on their health and wellbeing,” Richard says. Supporting Anne and Edie to make the film realised their goal. Eventually, the Ballarat program – which echoes pilot projects in Port Macquarie, Kiama, Darwin, Holdfast Bay, Bribie Island and Beechworth – plans to form the Ballarat Dementia Alliance and develop practical solutions such as signage, support services and infrastructure for those with dementia. Through the group, Anne receives carer’s respite, an activities program for Edie and four hours’ help a week from a local non-profit group. The pair also has a chef come in for five hours a week, organised by Australian Unity, to work with Edie in cooking meals. “That’s a big help for me,” Anne says. “And Alzheimer’s Australia came on board and offered a three-day living-with-memory-loss program, plus legal advice on getting your house in order and making decisions while you’re in a position to make them. Regardless of the size of your garden, courtyard or balcony, it’s possible to produce home-grown fruit. Fruit trees come in a range of sizes: full-size (four metres or larger), dwarf (two to three metres tall), columnar (60 centimetres wide and up to four metres tall) and miniature (one-and-a-half metres tall). Apples and pears need a cool winter, but there are still plenty of options for people living in warmer climates – look for dwarf peach, papaya, mulberry, macadamia, persimmon, almond or mango trees. Consider dwarf quinces, apples or blueberries for balconies and small gardens. Mail-order nurseries stock a large selection of fruit trees. If you only have room for one full-size tree, plant two varieties 15cm apart in the same hole. This is particularly effective when combining apples, pears or plums that need a cross pollinator, but it can also be done with trees of different species. Prune overlapping branches to reap more fruit over a longer period. Alternatively, you can buy trees grafted with two or more varieties of fruit, whether it’s a mix of citrus, stone fruit, apples or pears. Just remember to mark branches so you don’t accidentally prune off a variety. He also says: “No net equals no fruit.” So, protect your crop from local pests such as birds and possums. Strategic pruning can reduce the space needed without a huge loss of fruit, from trees trained in neat lines or fan shapes (espaliered), to column-shaped cordons (trained to grow as a single stem). You can even buy stepover apple plants that act as productive bed edging and grow to a height of about 50 centimetres. If you’re not sure about your pruning skills, try Fleming’s Ballerina range of columnar apple trees, which are bred to stay in shape. Miniatures are perfect for growing in pots and dwarf sizes suit larger tubs. Meyer lemons, cumquats and mandarins are best suited to tubs. Buy wheels for your tubs so you can move them. Some specialist suppliers graft trees to order. Choose from heritage varieties not widely available, or have a favourite fruit tree cloned onto dwarf rootstock. 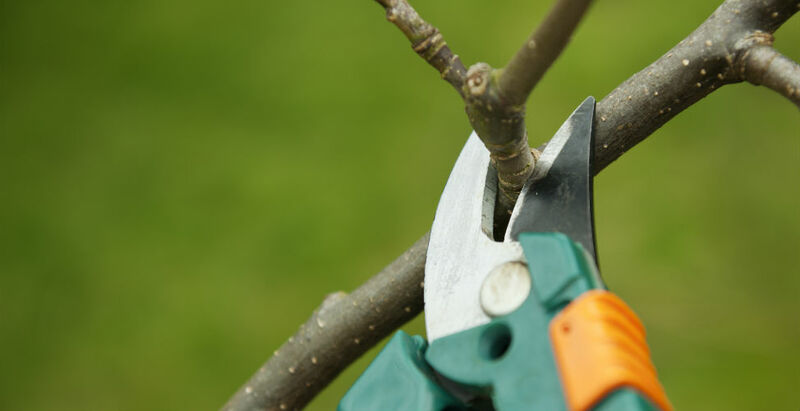 Apples and pears need different pruning to stone fruit; check before chopping. It’s hard to imagine life without oranges and lemons. A staple of cuisines from Spain to China, citrus is probably our most versatile fruit family. Best of all, they come into season now, when many others have ended. There are about seven species of native limes, plus cultivars, but sadly they are still rare in shops – which is ironic because new research suggests all modern varieties can be traced back to Australasian species from 30 million years ago. However, you will find new-season lemons, limes, satsumas – a lunchbox favourite – and navel oranges, taking over from summer’s Valencias. You might even find tangelos, citrons, yuzu, Buddha’s hand or bergamot; there are hundreds of types and they’re all cousins. They’re also good for you, providing fibre, lots of vitamin C, B vitamins (including folate), antioxidants and trace minerals. 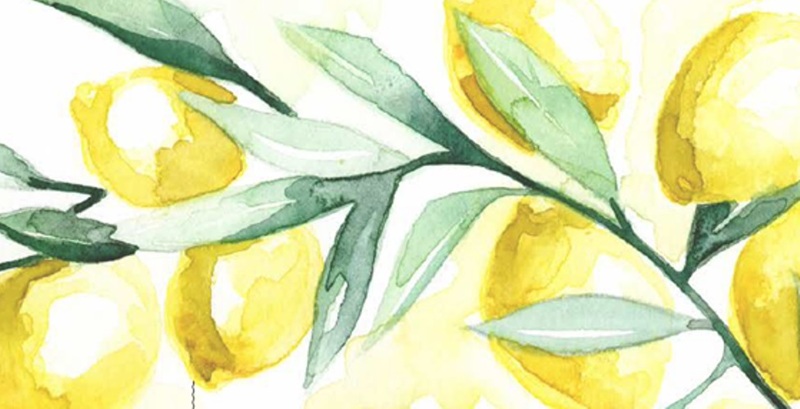 Few Greek dishes are complete without lemon, and it’s a healthy addition: squeeze it on salads, stir fries, risottos, roast potatoes, chicken, fish, water, tea – and an occasional gin and tonic. High levels of citric acid mean lemon is a good meat tenderiser and it can be used as a cleaning aid. It’s even supposed to fade sunspots. To preserve a glut, you can freeze juice in ice trays, make cordial and curd, or preserve lemons in salt. Limes can be substituted for a change; generally they are more acidic. The sweetest citrus are oranges, which work well in cakes, desserts and salads. Try oranges with raw fennel for a summery crunch in winter. Or create the colourful Sicilian orange salad, using a range of sliced citrus dressed with olives, red onion and olive oil. Swap tinned fruit for fresh citrus to make a refreshingly different trifle; you can even make the jelly from scratch using fresh juice, and decorate with shavings of orange-flavoured chocolate. Grapefruit adds flavour to a salad too – it is particularly tasty with avocado, rocket and prawns, or in a Vietnamese-style slaw with chicken or crab. Make an easy lemon curd by whisking 2 eggs, 2 egg yolks, 175g caster sugar, 80g butter and 2 lemons (zest & juice). Stir continuously over low heat until thickened. Store in an airtight jar in the fridge. Cooking tip: Add lemon juice before scrambling eggs to retain their golden colour. Spring in Australia is a magical time to explore our native flora and a good time to consider adding some local colour to your garden. 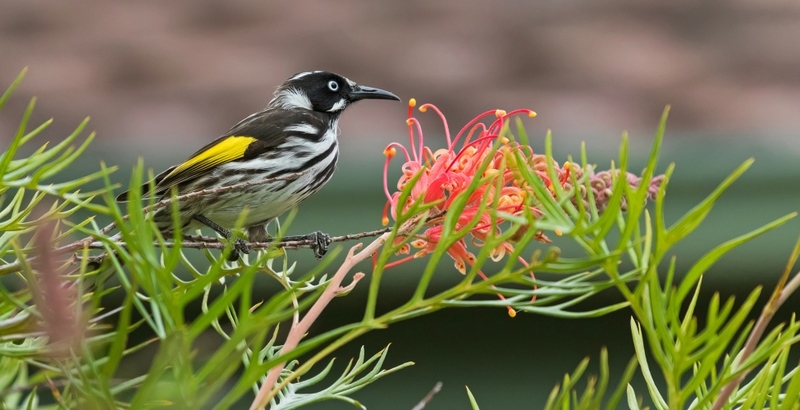 Native plants are naturally suited to Australian conditions and if you choose varieties from your immediate area you’ll be providing food and habitat for native bees, butterflies, lizards, mammals and birds. Unit-dwellers need not miss out – many stunning plants are fusspots best grown in pots: brown or pink scented boronias or vivid orange, red or turquoise lechenaultias, bright yellow and exquisitely detailed verticordias, lapis lazuli derwentias and neon orange-yellow-and- pink chorizemas. 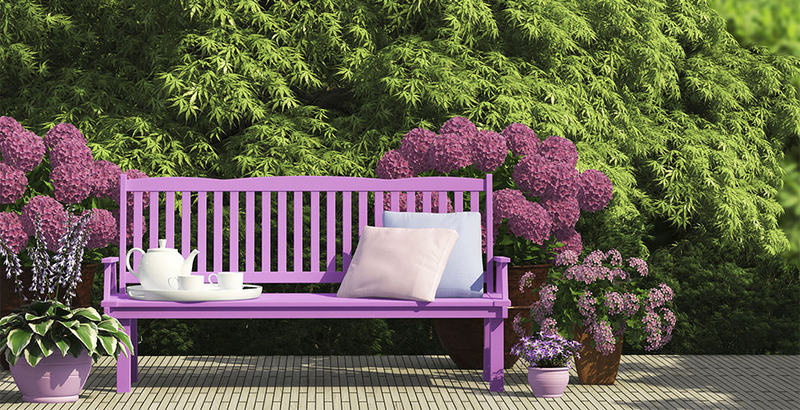 There is no end to the colours or combinations. For gradual change, replace underperforming plants with native ones. Consider the position to be filled then ask at your local nursery for plants to suit, rather than falling in love with something impractical. For a hedge, try correas or westringias, which can be cut to shape and will still flower. Trimming a little and often is best. Remember plants with grey leaves often prefer drier climates and may suffer from fungal problems in higher humidity. There are lots of options for replacing lawns, whether you want a grass and flower meadow or a neat line of low-growing plants, such as myoporum parvifolium. Some native plants are surprise stunners, providing a green backdrop for most of the year, then exploding with colour in Spring: acacias, mint bushes (prostantheras), hibiscus (alyogyne), eriostemon, orchids and daisy bushes (olearia and ozothamnus). Quiet performers such as grevilleas, banksias, eremophilas and small daisies (chrysocephalums, xerochrysums and brachyscomes) bring colour – and wildlife – for much of the year. Then there are the superstar plants whose simple role is to be gorgeous. You only need a few of these in a garden and they need room to shine. The red gymea lily that soars four metres (or more) is a perfect example. 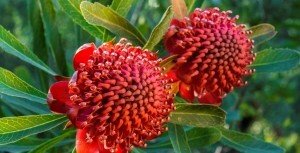 Waratahs are almost as spectacular and enjoy the same conditions as azaleas. Grass trees (Xanthorrhoeas) also fit into this category, as do kangaroo paws, which need good air flow. Tall plants lift a garden and provide structure: consider lomandras, dianellas, tree ferns, grass trees and trees. While researching the nine-volume Encyclopaedia of Australian Plants and other books, authors Rodger and Gwen Elliot spent years exploring our native flora. Rodger singles out Eucalyptus petiolaris and E. leucoxylon subspecies megalocarpa as favourite small trees. “You cannot guarantee the flower colour – sometimes young plants with reddish stems may have pink to reddish flowers – but they are some of the best,” he says. Both are best suited to medium-size gardens but many of the Mallee-type eucalypts only grow up to four metres, offering an Outback look in miniature. There’s the Rose Mallee with enormous pinky red flowers, or Eucalyptus synandra, whose pink-white flowers look like beaded skirts. For a more humid climate, the Blueberry Ash (Elaeocarpus reticulatus) with its smooth trunk, dark, shiny leaves and fringed, scented flowers is another of Rodger’s star trees. TV gardener Angus Stewart, from the ABC’s Gardening Australia, recommends checking roots are not pot bound, gently teasing roots out and soaking the root ball in water before planting. He also suggests adding organic matter to improve soil condition. To stop shrubs becoming leggy, Angus says, “tip pruning is a must”. And he says, “staking is best avoided, if at all possible,” because movement in the wind helps strengthen plants and their roots. 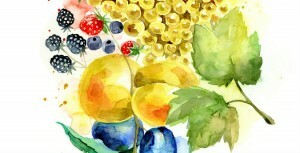 Summer’s harvest begins to add fragrance to our shops and gardens in late Spring and just as Summer fruits start to taste their best, the price drops. So, now is the time to enjoy peaches, cherries, grapes, plums, apricots, nectarines, mangoes, raspberries, pineapples and strawberries. Wild strawberries, whose Latin name Fragraria means “fragrance”, have been used medicinally since Roman times. They were grown from runners until new species from North and South America arrived in Australia in the 1750s. These species had larger fruit, so growers experimented with cross breeding. Initial plantings produced no fruit, until growers learned that some plants were male and others female. The modern strawberry is a cultivar, first produced in France around 1766. Choose strawberries by their sweet fragrance and glossy exterior and check carefully for bruising or marking. 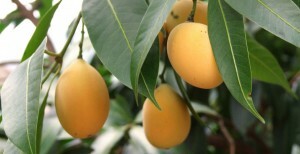 India’s national fruit, the mango, adds flavour to many different dishes. Add mango to a super-spicy chutney or curry, a smoothie, or simply enjoy it on its own. Grapes and chunks of sweet pineapple add interest to a summer salad. The stone fruits chosen for easy transportation by supermarkets are probably the least flavoursome, so if you can grow heritage types at home you can enjoy their old-fashioned scent and taste. Look for dwarf trees of many heritage fruits, some of which are small enough to grow in pots. Most fruit offers a broad range of vitamins and antioxidants; strawberries are particularly high in Vitamin C.
Many fruits are treated with chemical sprays to retain freshness. Strawberries top the list, but grapes, apples, peaches and nectarines are often sprayed too. Pineapples, mangoes, papayas, kiwi fruit and cantaloupes are hardier and less likely to be treated. Don’t let that stop you eating fruit though – just make sure you wash it thoroughly, or buy or grow organic. Hunt down a pick-your-own farm and discover where and how your fruit is grown. Orchids love the Australian climate so much that more than 800 orchid species, most of them unique to our shores, grow in all kinds of locations all over Australia. Queensland’s floral emblem, the delightfully named Dendrobium bigibbum, or Cooktown orchid, is well known for its striking shades of purple. The supertough Sydney rock orchid, endrobium speciosum, produces creamy yellow flower spikes in Spring and is loved by gardeners. More familiar to gardeners in the southern states of Australia are the showy, intricately patterned Cymbidiums, the moth orchid (Phalaenopsis) with its broad-winged petals that vary from white to deep purple and the wildly coloured Singapore orchid, once a buttonhole favourite. 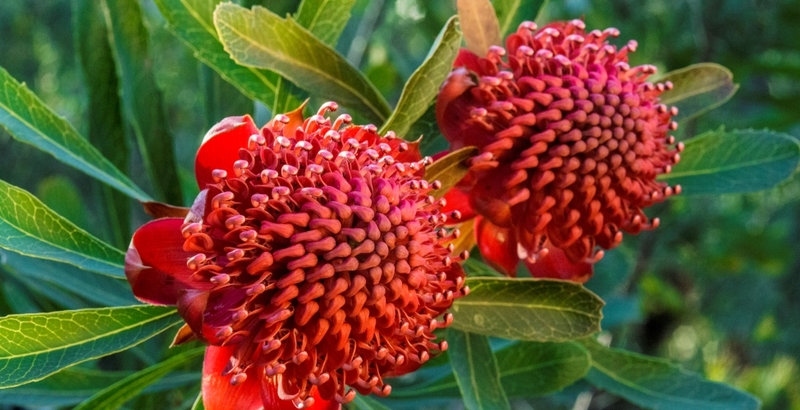 Despite our climate and our huge variety of native plants, the bulk of commercially grown plants sold in Australia originate from southern China, South-East Asia and the Indian subcontinent. 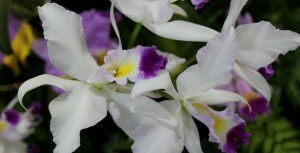 Most cultivated orchids are epiphytes, which grow on trees in the tropics or sub-tropics. They prefer dappled light, high humidity, good airflow and limited nutrients. Rock orchids like similar conditions. Terrestrial orchids (those growing in the ground) outnumber their tree-loving cousins by three to one but are difficult to cultivate. The exceptions are varieties of greenhood (Pterostylis) and onion (Microtis unifolia) orchids, which grow readily in pots or under a tree. Look for them in specialist nurseries. Australian Unity’s Kerrie Smiles is leading her own orchid revolution. 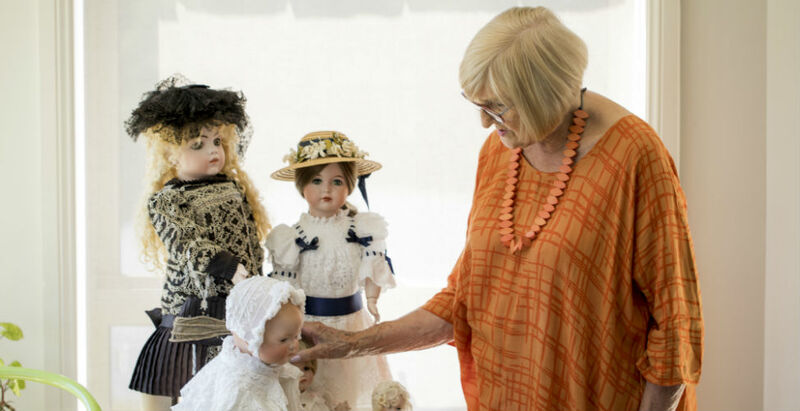 Kerrie, the Assistant Manager at Willandra Retirement Community in Cromer in New South Wales, is getting many of the residents involved in her hobby. “I remember being a kid and having a lady’s slipper orchid (Paphiopedilum) and I thought it was the most beautiful thing I had ever seen,” Kerrie says. Kerrie has encouraged so many residents to grow the plants she has been able to host orchid shows at Willandra. She has also created a special garden where former residents’ orchids continue to bloom in their memory. After a busy Spring, repotting bigger Cymbidiums and removing old rhizomes, Kerrie says Summer is about maintenance. Checking Summer light is also important; the sun is higher and shade will fall differently. Know your orchid: Moth orchids prefer hot weather and low light; Cymbidiums don’t like temperatures over 25 degrees C but need more light; Dendrobiums like warm days and cool nights.